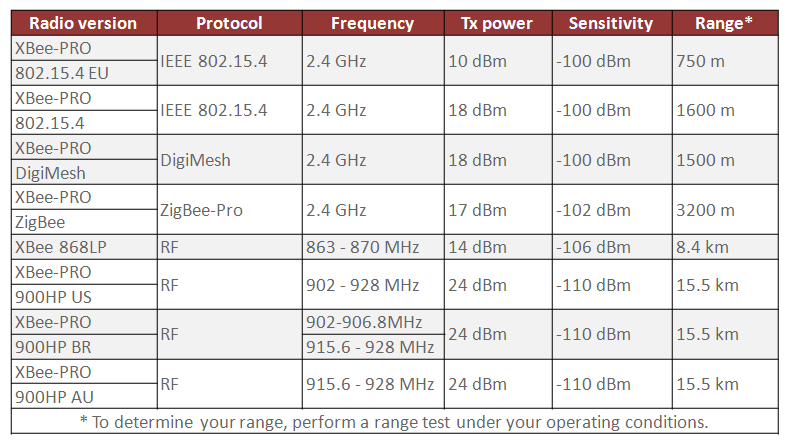 New Radio Technology Extreme Range even through buildings. 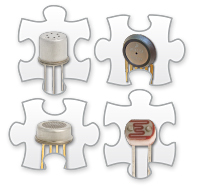 Now more than 15 different Ions. 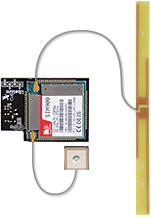 Waspmote hardware architecture has been specially designed to work with extremely low consumption. 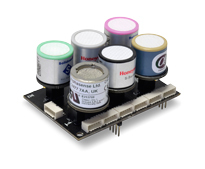 Digital switches allow to turn on and off any of the sensor interfaces as well as the radio modules. 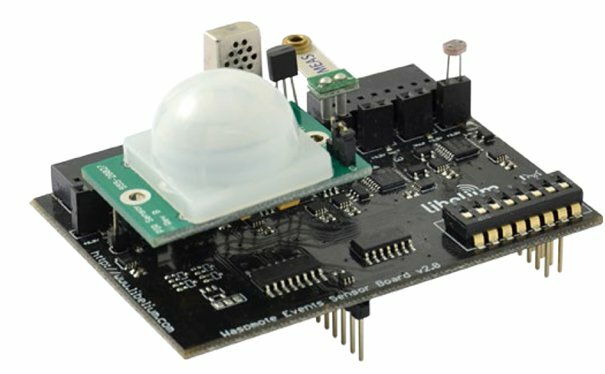 Three different sleep modes make Waspmote the lowest consumption IoT platform in the market (7 µA). 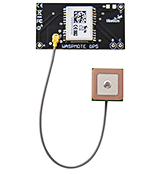 There are more than 110 sensors available to connect to Waspmote: CO, CO2, soil moisture, wind, IR presence, humidity, temperature, pH, radiation, liquid, luminosity, etc. 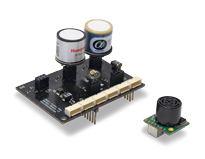 Our Sensor Boards allow developers to easily use sensors in Waspmote. 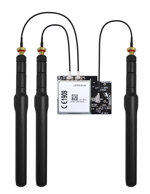 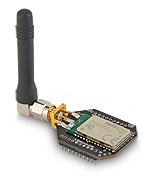 There are 16 different wireless interfaces for Waspmote including long range (4G / 3G / GPRS / GPRS+GPS / LoRaWAN / LoRa / Sigfox / 868 MHz / 900 MHz), medium range (ZigBee / 802.15.4 / DigiMesh / WiFi) and short range (RFID/NFC / Bluetooth 2.1 / Bluetooth Low Energy). 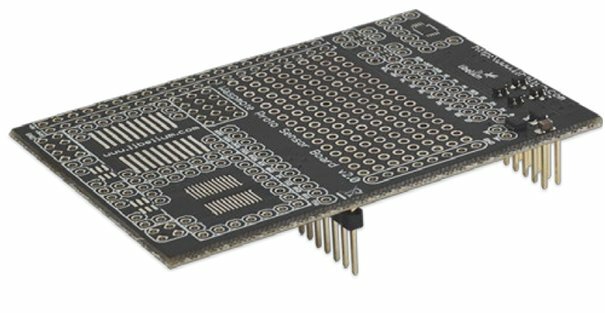 They can be used solely or in combination of two by using the Expansion Radio Board. 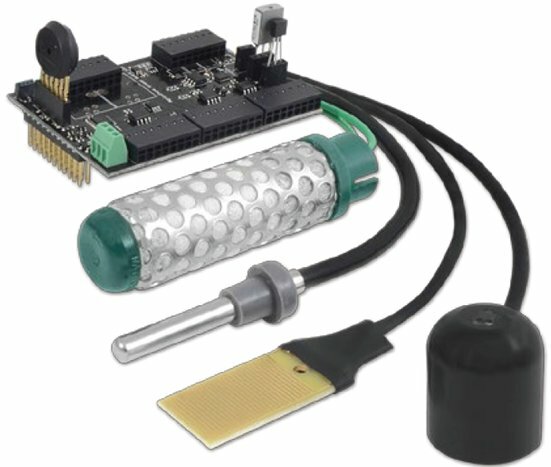 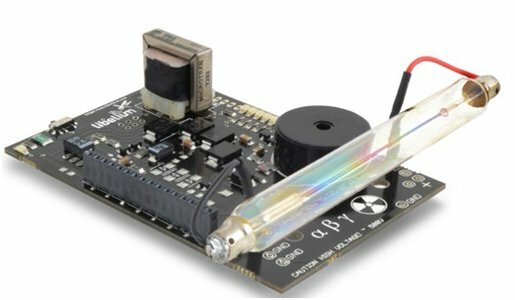 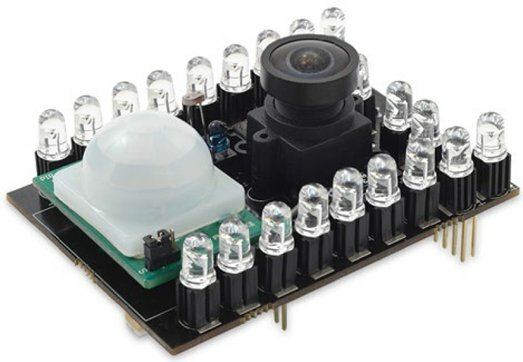 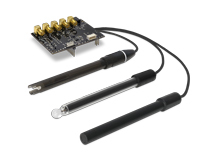 Connect any sensor in industrial environments. 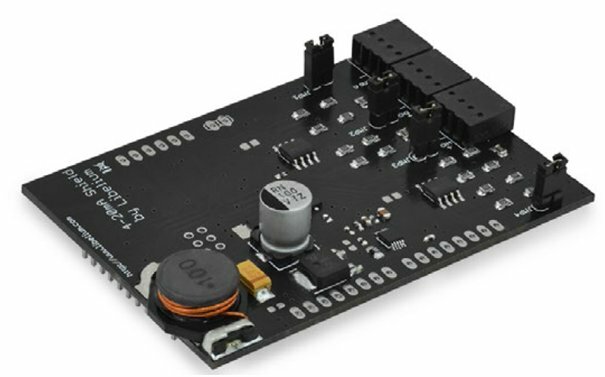 Compatible with: RS-232, RS-485, Modbus, CAN Bus, 4-20mA. 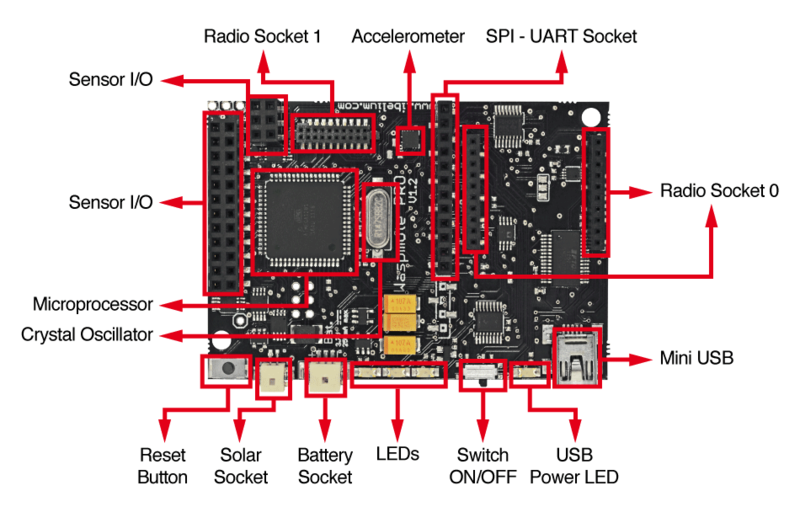 Over the Air programming (OTAP) enables software upgrades of the motes without the need of physical access. 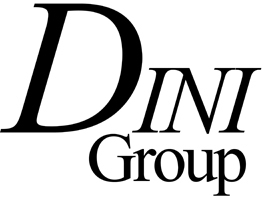 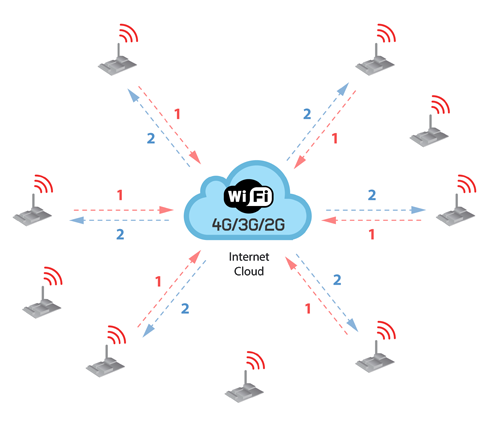 Software upgrades can be made in minutes and it is possible to choose between updating single nodes (unicast) or an entire network (broadcast). 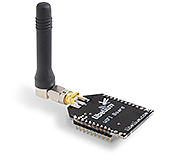 The encryption libraries for Waspmote ensure the authentication, confidentiality (privacy) and integrity of the information gathered by the sensors. 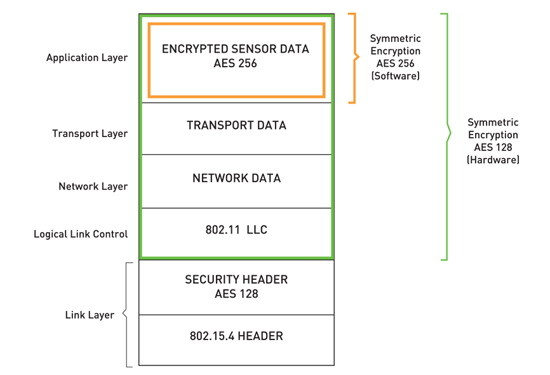 To do so, different cryptography algorithms including AES 256, RSA 1024 and MD5 have been implemented. 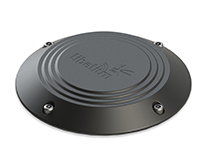 City pollution-Emissions from farms and hatcheries-Control of chemical and industrial processes-Forest fires. 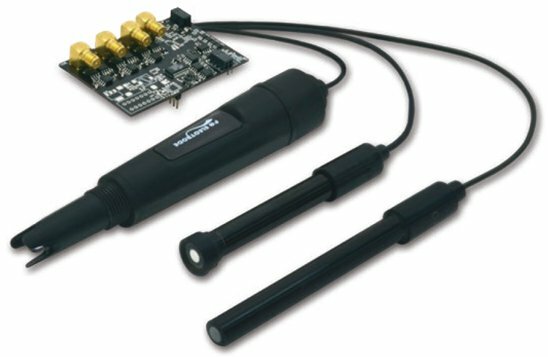 Actuation - Control DC units such as irrigation valves, thermostats, illumination systems, motors, PLC's, etc. 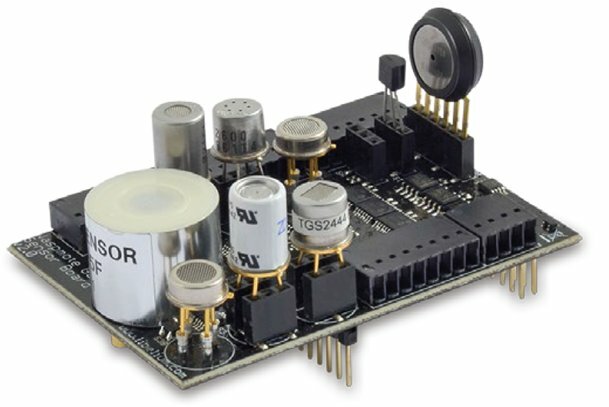 Relay to control external DC units. 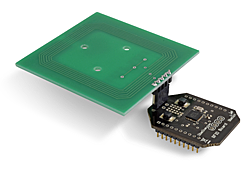 The Expansion Board allows to connect two communication modules at the same time in the Waspmote sensor platform. 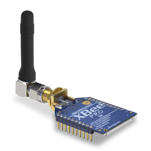 This means a lot of different combinations are possible using any of the wireless radios available for Waspmote: 802.15.4, ZigBee, DigiMesh, 868 MHz, 900 MHz, LoRa, WiFi, GPRS, GPRS+GPS, 3G, 4G, Sigfox, LoRaWAN, Bluetooth Pro, Bluetooth Low Energy and RFID/NFC. 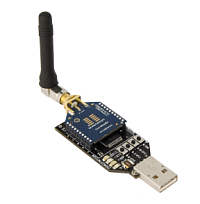 This USB Gateway is thought for laboratory tests. 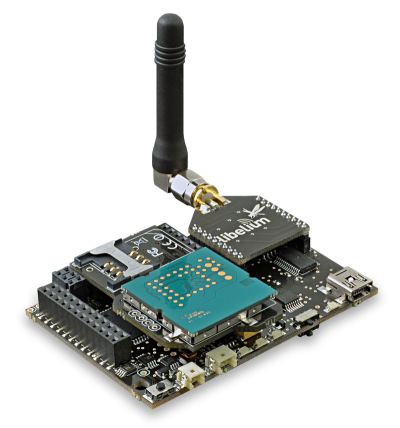 For real deployments, we recommend the use of our multiprotocol router for the IoT, Meshlium. 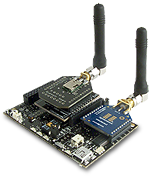 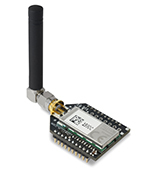 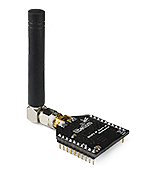 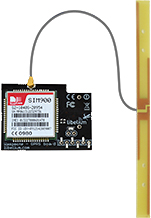 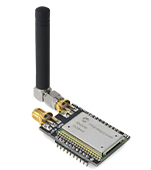 Waspmote can be configured to read the information from the bus and send it to the Libelium IoT Gateway using any of the wireless radio modules available: 802.15.4, 868 MHz, 900 MHz, WiFi, 4G, Sigfox and LoRaWAN. 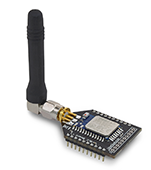 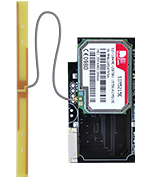 Waspmote can be configured to read the information coming from the bus and send it via wireless directly to the Cloud using WiFi, GPRS, GPRS+GPS, 3G or 4G radio interfaces. 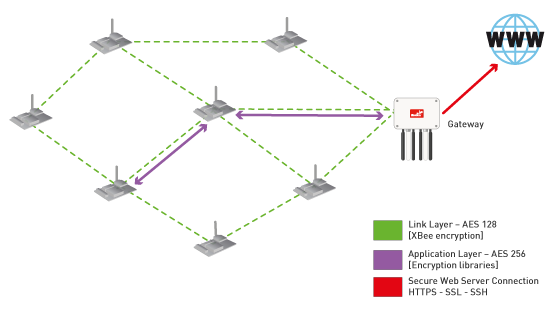 In the second security layer each node uses a point to point encryption scheme with Meshlium -the Gateway of the network-. 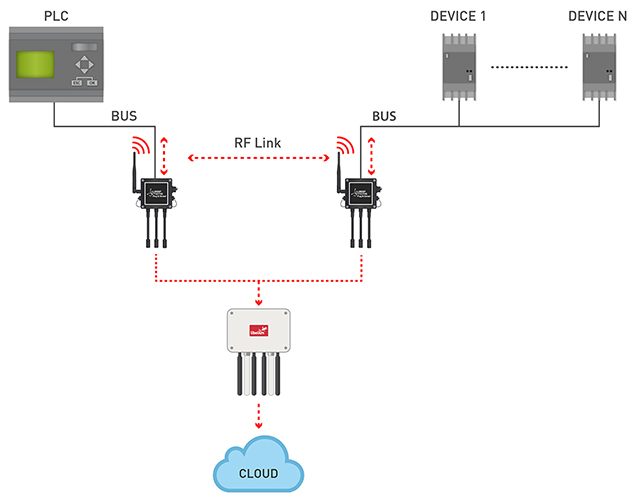 This way even the intermediate nodes of the network (the ones which forward the information to the destination) will not be able to see the sensor data transmitted. 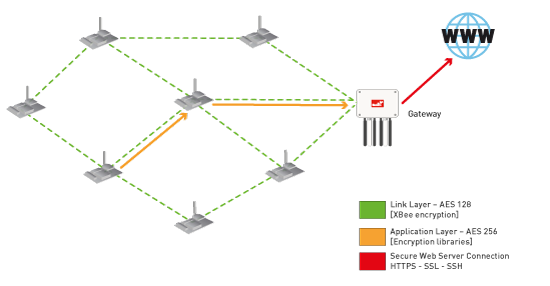 To perform this technique each node interchanges with the Gateway a new encryption key using RSA 1024 (Public/Private keys)what ensures at the same time authentication and integrity. 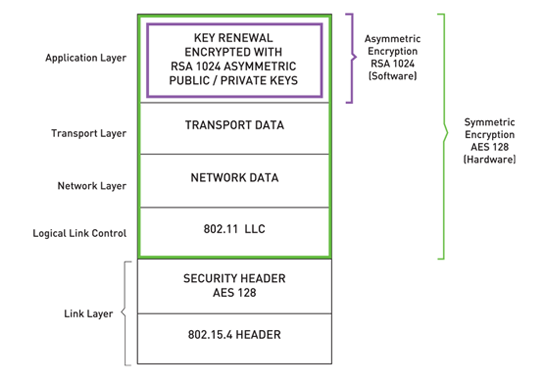 Once the key has been confidentially interchanged the rest of the communication is encrypted by using AES 256 via software as it ensures complete confidentiality and privacy while maintaining the minimum resources of the node in term of computing cicles and energy consumption. 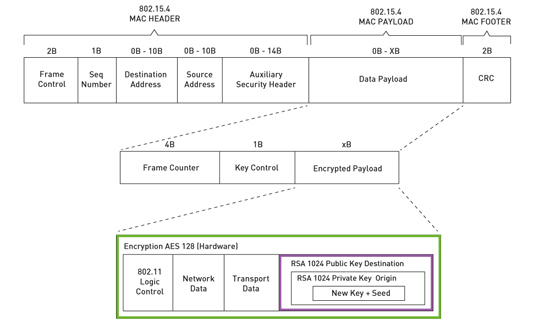 The "point to point" encryption key is cyclically changed using again RSA encryption in a process know as key renewal. 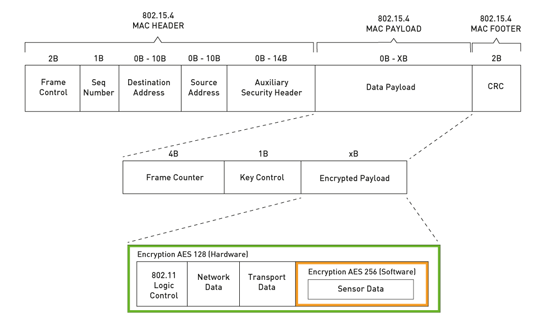 Information is encrypted in the application layer via software with AES 256 using the key shared exclusivelybetween the origin and the destination. 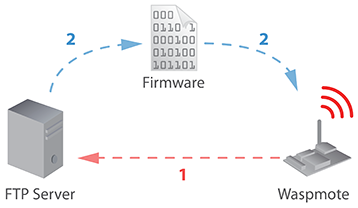 Then the packet is encrypted again in the link layer via hardware with AES 128 so that only trusted packets be forwarded, ensuring access control and improving the usage of resources of the network.